Stylish, compact and ultra-modern, the filters of the Crystal series are both efficient and fast at water purification. The innovative solutions used to design these filters make them the most convenient and ergonomic among the stationary absorption systems. Crystal filters are as reliable and stable as the change of seasons. Replacing the modules after many months of continuous use is so easy and safe that even a child could do it. CarbFiber Block ( CFB ) is a manufacturing technology of water filtration media with different degrees of porosity and is designed fr water of any pollution level. 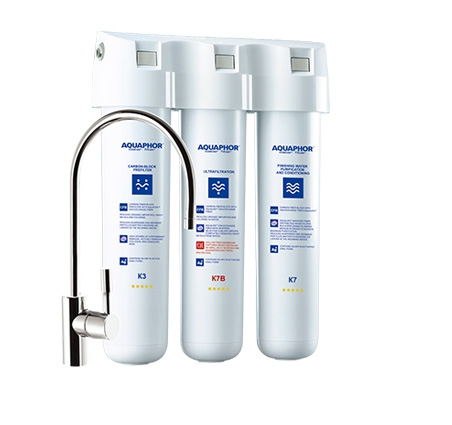 CFB significantly increases the lifespan of the replacement AQUAPHOR filters without compromising the purification quality. Aqualen is a unique fibrous chelating ion-exchange sorbent. Aqualen irreversibly binds heavy metal ions. It has superior adsorption capacity. Aqualen sorption surface area is 33 times larger than that of the conventional ion-exchange sorbents. It is equally effective in water of any hardness. The filters based on Aqualen technology are more than 10 times faster and more reliable than the conventional filters. The cutting-edge hollow fiber technology helps create microfiltration cartridges hollow fiber membranes have a huge filtering surface while maintaining small dimensions and a pore diameter of 0.1 micrometers. The hollow fiber is a universal shield. It provides a 100% guarantee of cutting off germs and bacteria, Giardia cysts and other intestinal parasites, removing the undissolved impurities and sediments as small as 0.1 micrometer. DFS technology is the original method of applying silver in its most active ionic form to Aqualen fibers. 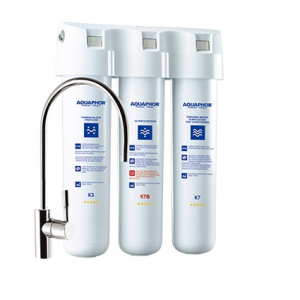 DFS significantly reduces the amount of silver in AQUAPHOR filters. At the same time , it notably increases the bactericidal effects as compared to conventional filters, which use metallic silver deposited on activated carbon. 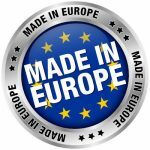 Thanks to DFS technology, AQUAPHOR filters meet all the European health and sanitation standards.